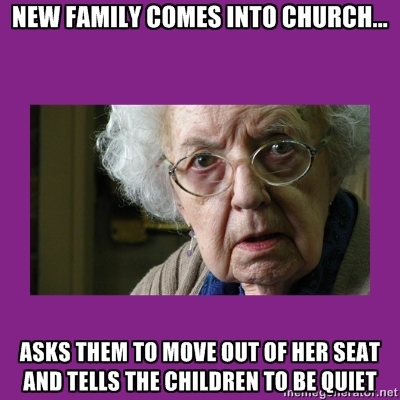 This entry was posted in Memes and tagged church, families, grumpy old woman, Grumpy Parishioner, memes by masterofthememes. Bookmark the permalink. I’ve worshipped in one community where that was the senior steward!